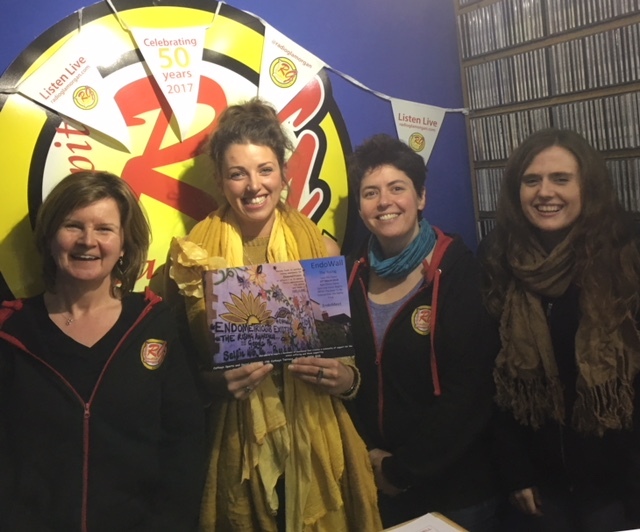 Supporting Endometriosis Awareness Month, we invited EndoWall creator, Jaimee Rae McCormack into the studio for a chat with The Celtic Gals on their weekly Thursday evening show 6pm – 8pm. Jaimee talked about her journey, being diagnosed with Endometriosis and the day she created the ‘EndoWall’. With the weighty statistic that the average diagnosis is taking 7 1/2 years, and approximately 1 in 10 women being affected Jaimee has set out to let sufferers know they are not alone. The ‘rising awareness’ of symptoms and support available aims to provide a stronger platform for sufferers to seek the diagnosis & help that they need.